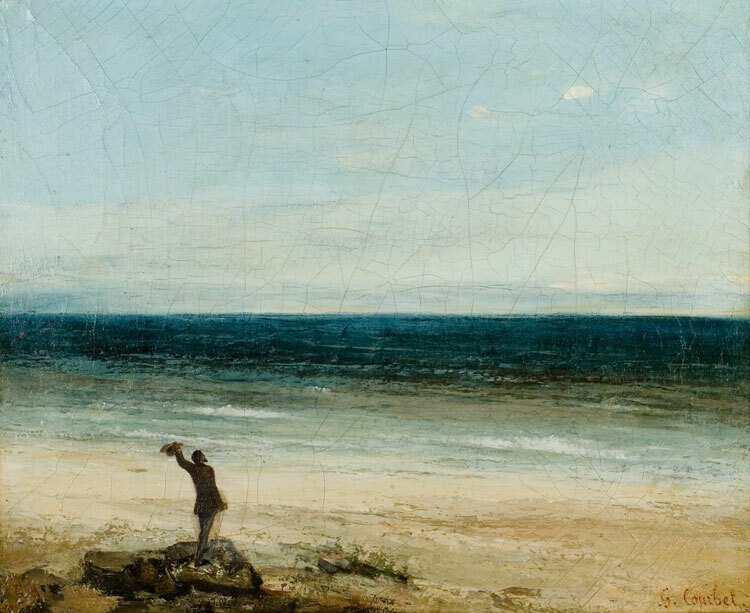 Gustave Courbet, Le Bord de Mer à Palavas. Colin Winborn has been interested in the relationship between poetry and spiritual enquiry for a number of years. Most recently, he has published Gleams & Fractions and Nerve Cells. He lives and teaches in West Yorkshire. In this week’s guest post for The Culturium, Colin explores the correlation between what is spoken out loud and what remains forever held within—and that tantalizing space where the two collide. CASTS IS A sequence of interlinked poems that springs from an interest in the relationship between speech and silence: between what is said, and what is unsaid or unsayable. For me, the blank space of the page is as much a part of the texture of the poem as the words themselves: it allows the latter to echo, perhaps sound out. I am drawn to sequences because of the possibilities of colloquy they offer: the way in which poems might speak to, even argue with, one another. Different conversations can be overheard, depending on the room we’re in. I’ve always liked Tom Waits’ suggestion: “Pin your ear to the wisdom post / Pin your eye to the line.” Words to be unpacked. Unpinned.